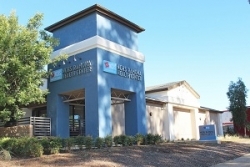 North County Health Services Opens New Health Clinic in Ramona. Ramona, CA, April 02, 2019 --(PR.com)-- For more than 40 years, North County Health Services (NCHS) has provided quality, affordable care for the residents of Ramona and the surrounding communities. What began as a mobile clinic quickly expanded to a church basement and eventually a clinic building to accommodate the growing demand for access to health care. Today, NCHS operates 12 locations across North San Diego and Riverside counties and saw over 67,000 patients in 2018. Due to the increasing number of patients seeking care and demand for increased access, NCHS Ramona has opened a new health center, the former Sear’s building at 220 Rotanzi Street. With a larger, upgraded, state-of-the-art facility, patients will have increased access to dental and medical care, shorter wait times for appointments, as well as programs in behavioral health, among other improvements. The new location of the clinic is more centralized and will undoubtedly allow for increased access to care. NCHS is proud to be serve as a staple in the Ramona community, and looks forward to continuing to care for patients for many more years to come.